Sikhs put their trust in the Siri Guru Granth Sahib & do NOT put their faith in "Tantric Numerology" or other man-made means for enlightenment which "shall pass away"! 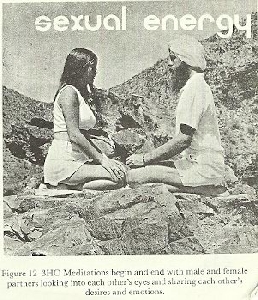 Recently I've been running across many articles by Yogi Bhajan's 3HOers praising the benefits of "Tantric Numerology" which 3HOers say "provides an effective means for you to align with your higher Self and excel via the technology of Kundalini Yoga as Taught by Yogi Bhajan." And in yet another occult numerology forecast article, Yogi Bhajan follower Nam Hari Kaur Khalsa says,"Trust in your Angels, and stay the steady course of your own soul’s longing to dwell and excel in the Aquarian Age." Sikhs only look to the Siri Guru Granth Sahib to "align with your higher Self" and God. Sikhs do not put their trust in "Tantric Numerology" or other man-made means for enlightenment which "shall pass away"! "The Yogis sit in their Yogic postures, and the Mullahs sit at their resting stations. The angels, Siddhas, worshippers of Shiva, heavenly musicians, silent sages, Saints, priests, preachers, spiritual teachers and commanders - each and every one has left, and all others shall depart as well. 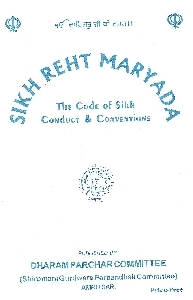 Call permanent only the One, who does not have destiny inscribed upon His Forehead"
Sikhs ask Himat Kaur to cancel her astrology class on June 15th at Yogi Bhajan Summer Solstice in New Mexico as it violates the Sikh Rehit Maryada. It seems Himat Kaur Khalsa is a practicing astrologer with Yogi Bhajan's sect. As described on her website "Himat Kaur will be teaching a class on the Uranus-Pluto Squares at the 3HO Yogi Bhajan 2012 Summer Solstice Sadhana Celebration at Ram Das Puri in Espanola, New Mexico on June 15th at 7am"
Sikhs only look to the Siri Guru Granth Sahib to find "peace of self-understanding". Sikhs do not put their trust in "astrology" or other man-made means for self-understanding which "shall pass away"! that the One Creator Lord is above these auspicious days. He alone knows the way, who meets the Guru. Do not tell lies, O Pandit; O religious scholar, speak the Truth. Calculating and counting, the astrologer draws the horoscope. He studies it and announces it, but he does not understand reality. Understand, that the Word of the Guru's Shabad is above all. This morning I saw an alarming post on the "Sikh Dharma Worldwide's" website which officially sanctions Astrology by Yogi Bhajan's 3HO heretics. Please write these Yogi Bhajan 3HOers and explain that Sikhs do not practice Astrology. It is forbidden in the Sikh Reht Maryada for Sikhs to practice: “Influence of stars, Magic spells, incantations, omens, auspicious times, days & occasions, , horoscopic dispositions,” Chapter X Article XVI. Why do these 3HO Kundalini Yogis who control Yogi's "Sikh Dharma Worldwide" promote this sacrilegious rubbish? Because it makes them piles of money!! "New Age'ers" who practice yoga asanas in America want to believe in Magic and an easy way to salvation. "2012 will be a year of historic change. It is the end of the Mayan calendar, and therefore the beginning of a new year and a new world. 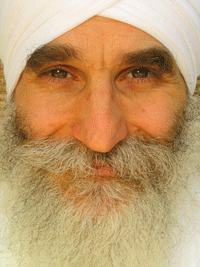 We have just entered into the Age of Aquarius as per our beloved teacher, Siri Singh Sahib Bhai Sahib Harbhajan Singh. How is this playing out astrologically?" Yogi Bhajan's 3HO "Request for Spiritual Name" violates the Sikh Reht by using astrology! The Venus transit today is only a gimmick for Yogi Bhajan's greedy followers to bleed thousands of dollars from the many gullible yoga students who will attend a baloney “Gong Meditation Course" with Harijiwan. Please write SikhNet & 3HO to tell them that Sikhs do NOT believe in such superstitions like astrology. The Venus transit today is only a gimmick for Yogi Bhajan's greedy followers to bleed thousands of dollars from the many gullible yoga students who will attend a baloney “Gong Meditation Course" with Harijiwan. 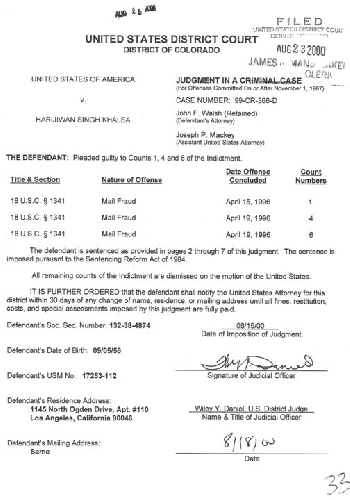 Harijiwan is a convicted felon of fraud in the US! "Harijiwan Singh Khalsa, 43, tried to swindle more than 1,060 people of $315,218 by using fraudulent invoices, the U.S. Attorney's Office said Wednesday." 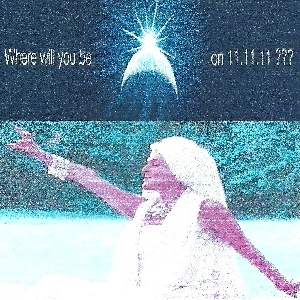 What is Yogi Bhajan Kundalini Yoga teacher Harijiwan doing putting expensive ads on Google when he still owes $116,000 in victim restitution for his Criminal frauds? I did some research today and called the clerk at the United States District Court for the District of Colorado to check if Harijiwan is making his victim restitution payments. You'll recall that Harijiwan is the Yogi Bhajan telemarketing toner crook who spent 18 months in Federal prison for fraud case no. 99-CR-00242-WYD and recently turned into a Kundalini yoga guru for the Aquarian age. From my first-hand experience with HJ, I think his miraculous epiphany was only due to the fact that HJ sensed money in the pockets of vulnerable yoga students. Kundalini Yoga students pay thousands of dollars to Harijiwan to have the load of manure that compose "The Teachings of Yogi Bhajan " dumped on them these days! 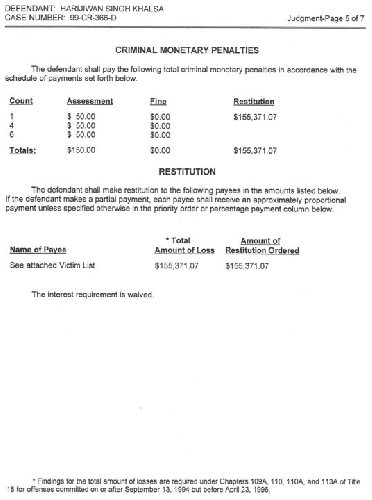 Back to my research on HariJiwan's victim restitution payments: I talked to the financial department at the court and according to the clerk, Stacy, HJ has been making $500 a month payments and still owes around $116,000.00. You may call Stacy at 303-844-3433 and refer to case no. 99-CR-366 Harijiwan Khalsa in order to verify what I'm saying. From what HJ told me before we stopped talking, he may be hiding his real income from the court in order to avoid paying the true 25% of his income. Not only this, at the rate of $500 per month, HJ will never pay off the $116,000 he owes as there seems to be a law that limits his liability to pay restitution which terminates after “ 20 years from the entry of judgment”. So according to my calculations the judgment was entered on August 23rd 2000, twenty years will have passed on August 23rd 2020 with Harijiwan still owing around $68,000! Do I think HJ will continue to pay restitution after 2020? I think you can guess the answer to this one. The last time I talked with Harijiwan, he said to me, "I don't want anybody to know my criminal past, I want to bury it, I am in the "Kundalini Yoga Business" now!" Now Harijiwan is just trying to cash in on the craze over yoga. I never saw Harijiwan ever teach a Yogi Bhajan Kundalini Yoga class before 2005. He was only involved with sending out fraudulent invoices for copy machine toner & incarcerated in Federal prison for fraud before the year 2000! who spent 18 months in Federal prison for fraud case no. 99-CR-00242-WYD. Gursant Singh says: I know it sounds bizarre to westerners and "educated" people but if you've ever lived in India like myself for any length of time you may understand more of this idea that Yogi Bhajan almost seems possessed by a demon or controlled by black magic. I think YB could have gotten involved with some kind of tantric cult at an early age. I have talked to several Indians who after viewing YB's videos and hearing my experiences feel strongly there is a case to be made for YB's involvement in black magic and the occult. Operating out of Aurora, Khalsa sent fictitious invoices for expensive copy machine toner to medical and dental providers. The invoices were fake, and the product had never been ordered by the customers, the victims and investigators learned. An accomplice, Paul Elison, was sentenced in December to six months in prison and fined $5,000. Federal grand jurors in Denver returned indictments against the two men in 1999. They operated the scheme from October 1995 to June 1996, and federal and local authorities began investigating the case after victims contacted the Aurora Police Department. The indictments found that Khalsa hired Elison, who used the alias Kirpal Singh Khalsa, to open the Supply Distribution Center in Aurora. Khalsa created the false invoices in California and printed in Colorado. The invoices charged as much as $318 for one carton of copy machine toner. The last time I talked with Harijiwan, he said to me, "I don't want anybody to know my past, I want to bury it, I am in the yoga business now!" I worked with Harijiwan for 25 years and I believe Harijiwan’s only motivation for teaching yoga is to extract huge amounts of money from his innocent yoga students as he did with thousands of victims in his telemarketing scams over a period of 19 years from 1980 until 1999. Harijiwan still owes over 125,000 dollars in victim restitution, according to the clerk of the United States District Court for the District of Colorado . Does Harijiwan pay 25% of his income in restitution as stipulated by Federal guidelines? His payments to the court are only $500 per month but it seems from the high price of admission to a single yoga course, which can be as much as $3,600, that he makes much more than $2,000 per month. Akasha Ellis is the son of Al Ellis, convicted along with Gurujot Singh Khalsa of drug running. As the Spirit Fest blurb has it, Akasha "became a student of Yogi Bhajan's at age 11. "He, like the rest of the greater Washington DC bhajanite children of his generation, was sent to India. Akasha was wed to Gurujot Kaur and Gurujot Singh's daughter, Karan. Akasha has made his way teaching yoga and working in Indian import/export businesses. Both pursuits have involved his father, Al Ellis. Karan Khalsa, Akasha's ex-wife, is the CEO of Spirit Voyage. Spirit Voyage is sponsoring Spirit Fest.Her mother, Gurujot Kaur is the PR and marketing director of Spirit Voyage, as well as the Secretary General of Sikh Dharma Worldwide and one of the plaintiffs in the ongoing Unto Infinity/Golden Temple case. Akasha's younger brother, Dylan Ellis, was shot to death in a double homicide in Canada a couple of years ago. The murders are unsolved.